An essential companion to any M4 Sherman modeller, whether casual or obsessive. Highly Recommended. I could just sum up this review very quickly, firstly saying, “wow”, and secondly, if you are any kind of Sherman fan, you really need this book. However, just in case you would like a few more details, here goes. Late in the last century, Ampersand Publishing released a concise 120 page volume entitled “Modeler’s Guide to the Sherman”. 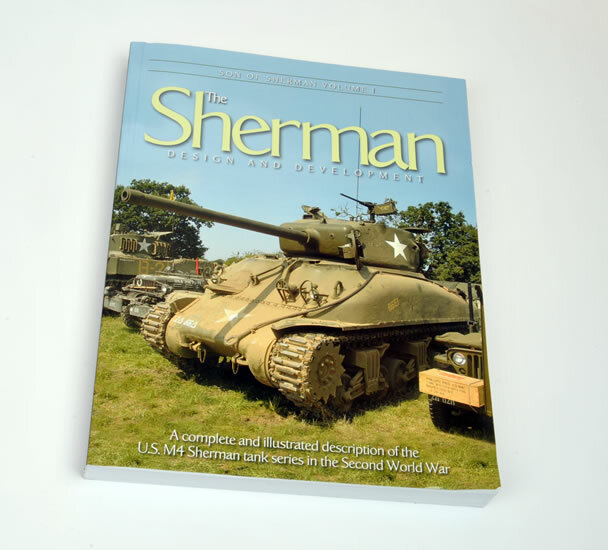 This book comprised mainly of material that had been previously published in MMiR magazine, including a chapter covering 15 different Sherman model builds. Also included were walk around photos, scale drawings, camouflage and markings and bibliographies for references and model resources. 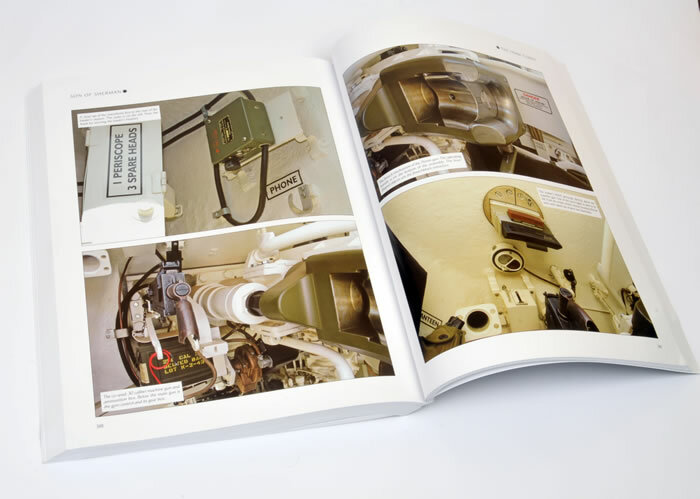 In terms of the drawings, which were really the heart of this original book, the focus was the running gear and hull of the various Sherman types. The book proved very useful and popular, and plans were put in place for a more detailed update. Now, 14 years later, we have Volume 1 of the original book’s successor, hence the title “Son of Sherman”. This is a hefty tome at 346 pages. 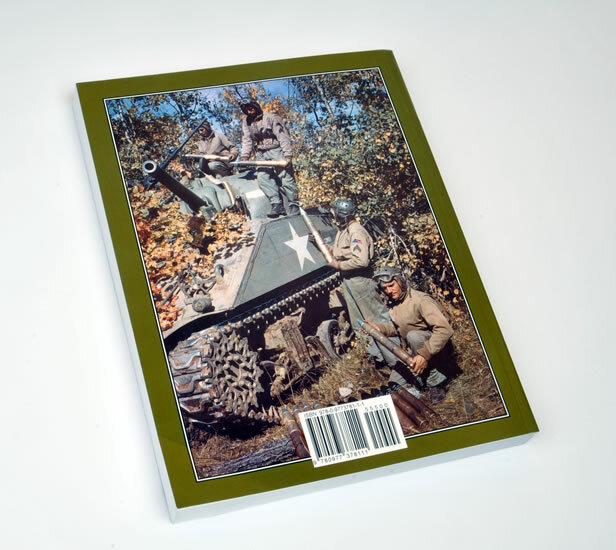 The paper is high quality and glossy, but more importantly, the contents are a truly comprehensive coverage of the design, development and variants of the M4 Sherman tank during the WWII era. The book is effectively brand new, with little or nothing of the original “Modeler’s Guide” remaining – everything has been reworked, expanded and sifted with a fine tooth comb. 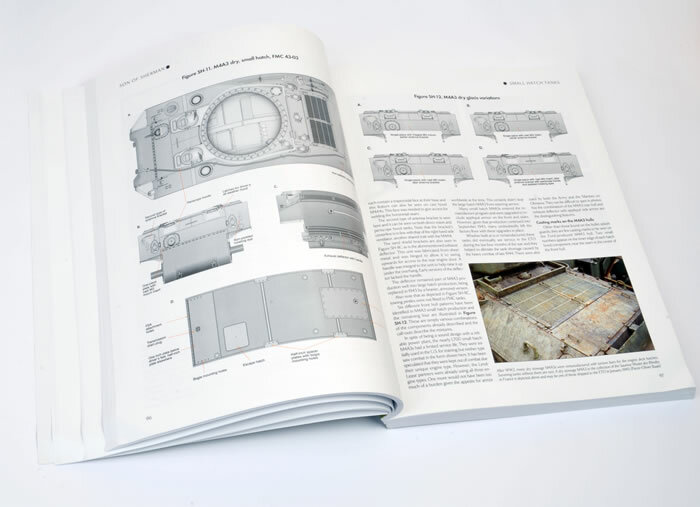 The book features more than 130 multi-view drawings covering each Sherman sub-type by hull, final drive housing, turret and running gear. The factories that produced these variants are also covered. All 75mm and 76mm turret types are included. A staggering number of large and well-reproduced wartime photos are offered, as well as relevant images of restored and museum examples where appropriate. There are more than 900 photos in all. Most photos are in glorious black and white, but there is a decent smattering of colour too, especially in the interior and running gear reference sections. Captions are detailed and relevant. 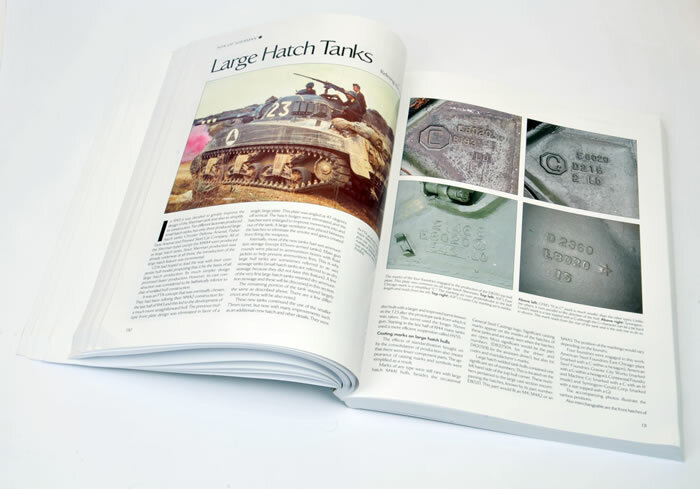 In addition to all this, the book also describes transporting the Sherman to the battlefield, applique armour, production and registration data. The book is available in either soft or hard cover versions. Presumably we will see coverage of howitzer and British variants, as well as post-war and non gun-tank variants in future volumes. “Son of Sherman Volume 1” is a remarkable achievement. It is clearly a labour of love by its authors, Pat Stansell and Kurt Laughlin, and the team who contributed archival and photographic resources. The book was nearly 15 years in the making and the wait seems more than worthwhile. This will be an essential companion to any M4 Sherman modeller, whether casual or obsessive.